The price of PlayStation Vita memory cards remains a sore point for some people. While the system itself is not particularly expensive for what you get, the storage options – which range anywhere from £15/$20 to £60/$100 – are prohibitively costly. However, it seems that Sony’s hoping to mitigate that issue by bundling digital games alongside the extortionate memory solutions. 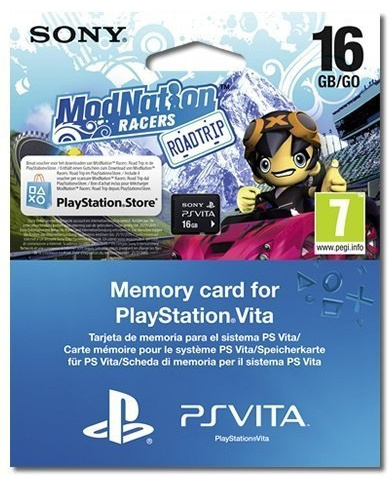 Reddit user Lokarnus snapped an image of a 16GB Vita memory card which includes a voucher for ModNation Racers: Road Trip as part of the package. The bundle appears to be exclusive to continental Europe at the moment; it’s listed on Dutch website Bol.com, for example, but we can’t find it on any of the main UK or North American retailers. The aforementioned online shop is also selling an 8GB memory card alongside MotorStorm RC. At €54.99 (£47/$72) and €39.99 (£34/$52) respectively, the packages don’t represent an enormous saving – but if Sony’s smart with this strategy, it could at least make the price of its memory cards a smidgeon more palatable. 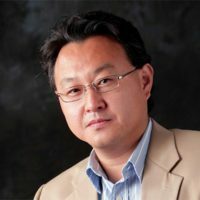 In an interview with Japanese gaming site 4gamer, Shuhei Yoshida, President of Sony Computer Entertainment Worldwide Studios, answered a question about how Polyphony Digital and the Gran Turismo series fits in with the company’s future plans. 4gamer: A driving game called “Driveclub” has been announced as [a coming up] PS4 software. However, in Japan there’s Polyphony Digital and I think many people are looking forward to an announcement regarding *that* racing game. What [can you tell us] about this? Yoshida: Key members of Polyphony Digital are involved in the very development of the PS4 and the PS Vita. I am thinking of asking them what’s going on with Gran Turismo, but related matters will be probably made clear by its representative Kazunori Yamauchi in due time. Although Polyphony’s involvement with the PlayStation 4 is very encouraging for Gran Turismo fans, it is most interesting to learn about their contributions to Vita’s hardware. The news comes after it’s been suggested over the past year that a Gran Turismo title for the PlayStation Vita was in development. Kazunori also talked about how a new mobile Gran Turismo title could take advantage of the Vita’s 3G data connection in an interview from last July. Thanks to SolidSnakex for the tip!